This Lakeside 168 end load stainless steel bun pan rack is a great choice for tight spaces. 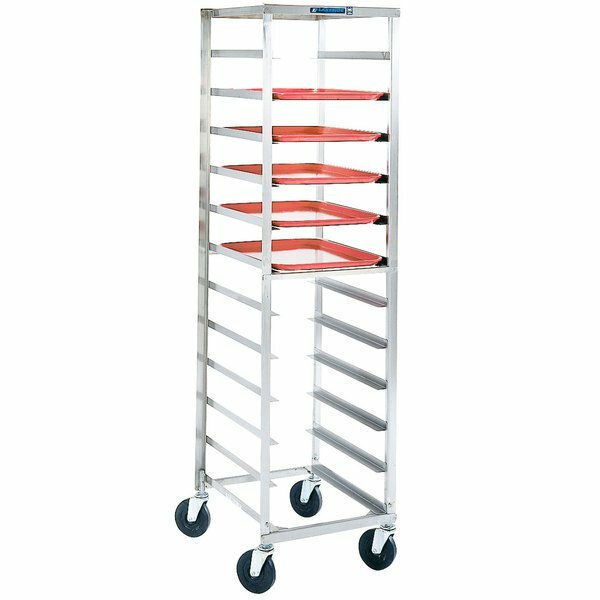 Made with durable, all-welded stainless steel this cart can handle large tasks but has a small enough footprint that it is still easy to store. The 1 5/16" angle ledges are welded to the uprights at 5" intervals and can withstand continuous use. Corrosion resistance and ease of cleaning are built in to this pan rack, plus the welded tie bars provide additional stability and structural integrity during transport. 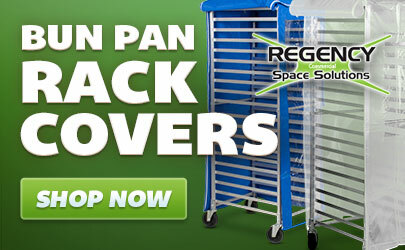 Completely assembled so that you can use it immediately, this pan rack is easy to clean and sanitize. It ensures that your pans are always kept in a safe, sanitary manner. This rack can hold up to 10 pans at one time. It includes four 5" stem mount swivel casters for excellent mobility and maneuverability.